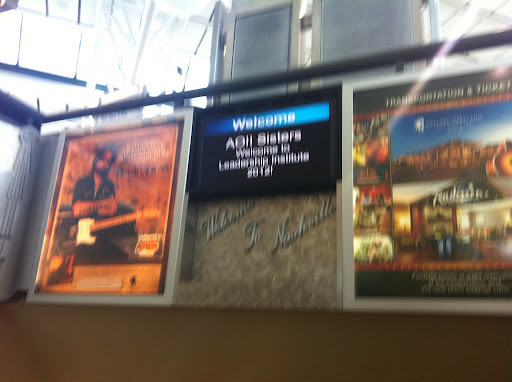 Friday morning I woke up and drove to the airport to greet sisters as they arrived in Nashville. Haley arrived just before I was leaving, so she stuck around and came with me to the hotel. We decided to take a pit stop at a bakery/cafe called Puffy Muffin in Brentwood. Let me just say… Best. Idea. Ever. If you ever have the opportunity to stop by there, you absolutely must try a mocha crinkle. They are a wonderful mix between a cookie and a brownie. So good! The weekend started at 5pm with dinner and our first keynote speaker, David Coleman (also referred to as The Dating Doctor). His presentation, titled Why be Ordinary When You Can Be Remarkable, was phenomenal! He is one of the best speakers I’ve heard. I laughed, I cried, it made me think, but most importantly, it inspired me. One of the most fabulous parts of these types of conferences is how inspired you are when you leave. After David, we went into network celebrations and met lots of other AOIIs in our network (Michigan, Illinois, Indiana & part of Canada) area. 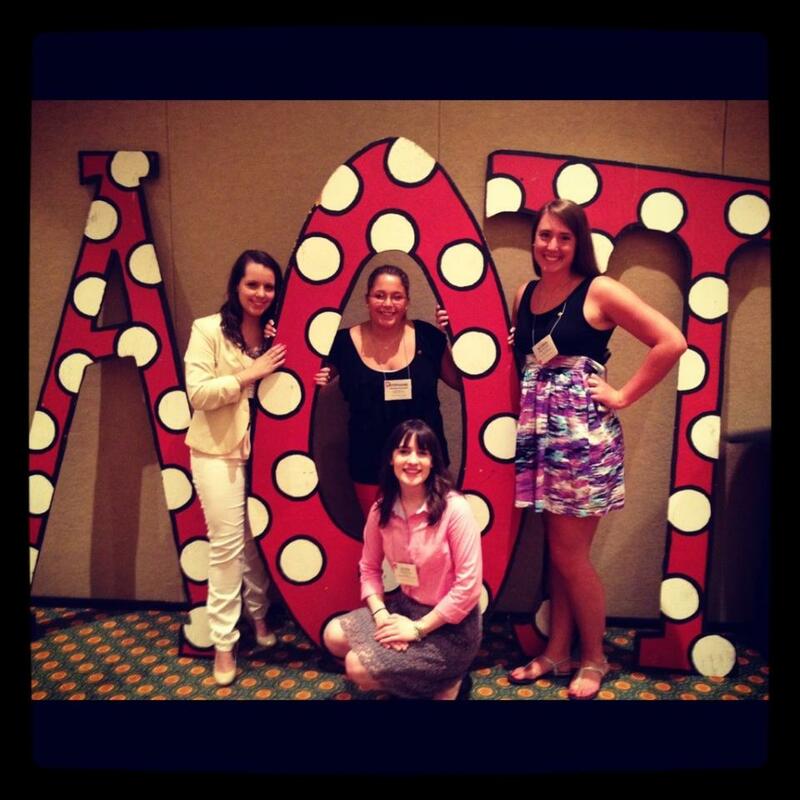 Then we attended a series of sessions titled AOII in 900 seconds. For those of you who don’t know, 900 seconds is exactly 15 minutes (and yes, ever session was timed!). 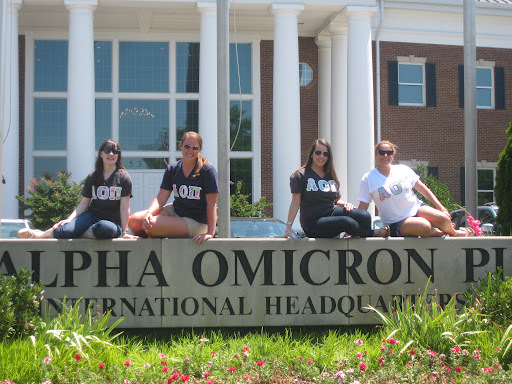 These were a great opportunity to get advice and questions answered from AOII volunteers and HQ staff. After the end of the conference activities, we drove around Nashville. We went downtown to see all of the lights & happenings and took a midnight trip down to AOII HQ! After some fun photos, we headed back to the hotel. Saturday morning our first event was the second key note speaker, Stacey Nadeau. Stacey is one of the women featured in the Dove real women advertisements. Her session focused on positive body image and was really inspiring. I could not imagine having my photo on a billboard in Times Square, never mind one in my underwear! This was really important, especially since women can be so hard on themselves, especially about things they cannot fix. After Stacey, we attended three breakout sessions on a variety of topics including design tips, hot topics with the Executive Director, Stella’s trunk (if you’re not an AOII, Stella was one of our founders), time management, and chapter education. I was able to attend the hot topics with the Executive Director, Troy. Let me just say, even though I work in the same building as Troy this summer, I was star stuck. 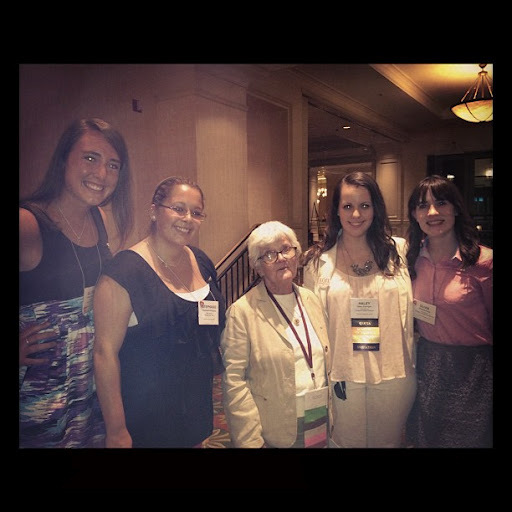 She is an amazing woman, an amazing AOII & I’m so glad I was able to hear her presentation. Speaking of amazing women, I was also able to meet Peg Crawford at LI, one of our Past International Presidents. If you have ever met her, or just been to an event where she was in attendance, you will agree that she is quite possibly the most adorable old lady you will ever meet! 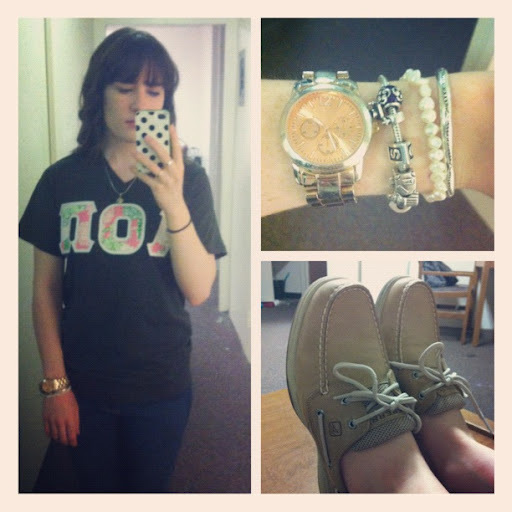 She has a heart of gold and truly cares for AOII and her sisters. Sunday morning we woke up for breakfast and our final ‘Power Session’, a panel of AOIIs from all different walks of life talking about what, where, when, how, who and, most importantly, WHY AOII. 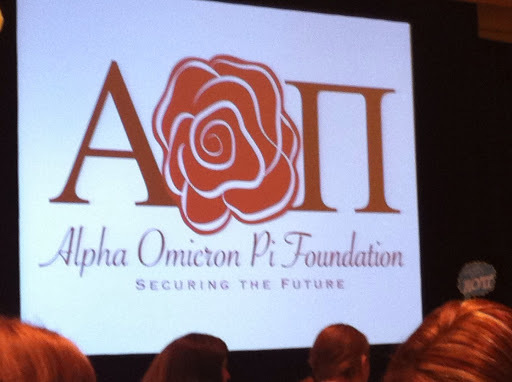 It was wonderful to hear from alumnae that continue to return to events like this why AOII is so important to them. 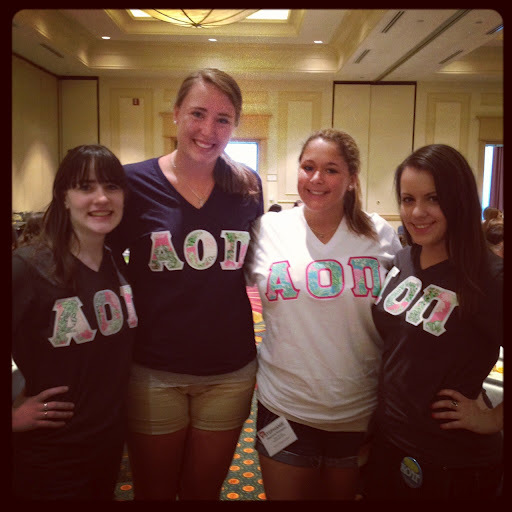 Everyone has a why AOII (or any other Greek organization!) story or two. When the program finished, we took another trip out to HQ for a tour and some more pictures! This weekend was truly amazing. I’m so glad I got to share it with some Beta Gammas & I’m looking forward to even more great adventures at Chicago 2013 for our international convention!